Mesa Boogie Mark Five 35 All Tube Guitar Combo Amplifier | Northeast Music Center inc.
To further bolster the new MARK FIVE: 35's stage-ready resume, we’ve added a Channel Independent SOLO Feature, a long-spring tank for the all-tube Reverb, the complete set of Voicing Choices from our CABCLONE™ with the addition of the VINTAGE setting to its on-board DI Output and an upgraded Footswitch for access to the new footswitchable choices. This new blend of perfect clip-ablity on demand and exciting, dynamic headroom when you need it, creates the most adaptable MARK amplifier yet! Utilizing our Dyna-Watt™ technology within the Multi-Watt™ Channel Assignable power array, this performance-oriented model offers substantially more headroom, punch and power in 35 WATTS, while two low power options, 25 and 10 WATTS provide a looser feel and enhanced power clip expression. Each of the 3 Power Level settings has its own sonic character and can be used to further authenticate the sound styles you are aiming at with your Mode choices and preamp settings. The power ranges and wiring styles are; 35 Watt (Dyna-Watt Power), 25 Watt (Dyna-Watt Power) and 10 Watt (Class AB Triode). Independent SOLO Controls for each Channel offer an additional volume level that you can call up during performance using the MARK FIVE: 35 Footswitch. Sales of Mesa Boogie Products is only to US residence. 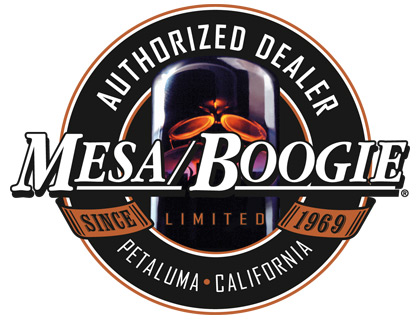 Northeast Music Center is a full line Music retailer located in Northeast Pennsylvania- We are a Authorized Mesa Boogie Dealer and purchase these products direct from MESA HEADQUARTERS IN PETALUMA CALIFORNIA. We do not obtain our MESA AMPLIFIERS or other MESA products from "jobbers" or other dealers. Our MESA AMPLIFIERS AND CABINETS come to you in the factory boxes with factory packing material. We will, upon request, and also randomly, open the box prior to shipping to check that all contents are included and that no damage has been found in shipping from MESA to our Store location. Northeast Music Center does reserve the right to sell these products in our store to daily walk in customers. It is our goal to always have this product in stock and if for any reason we sell out, we will reorder immediately as long as this MESA AMPLIFIER is currently produced for resale by the company. We will order the amplifier in a ample quantity to fill your order. It is our goal to make your experience a good one; We invite you to ask any and all questions about this product. Our store number is 570-909-9216 if you wish to call direct Please do not purchase this item if you can not pay. This is a new Mesa Boogie Mark Five 35 1x12 Combo with full 5 Year factory warranty.